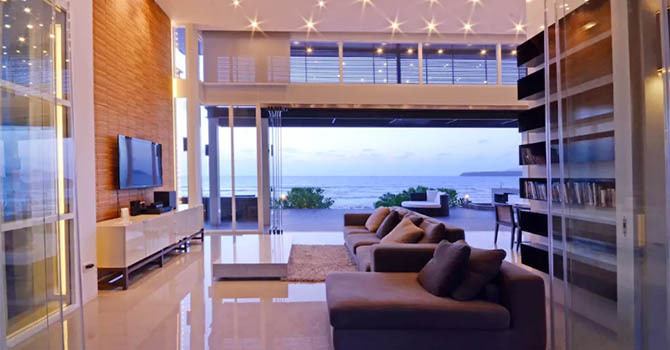 Villa Casa De Playa is a stunning 4 bedroom beachfront escape featuring panoramic sea views only steps from the sparkling sands of Kamala., Phuket. 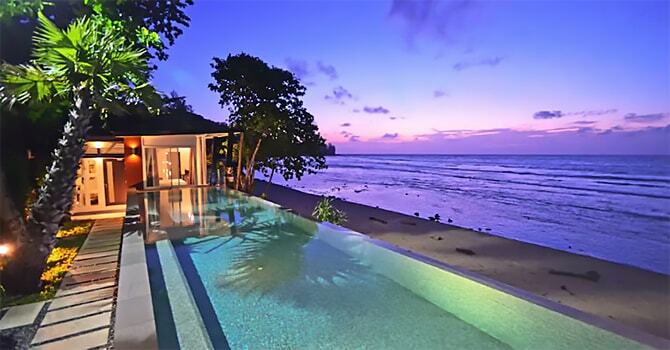 Nestled in a stretching seafront lot framed by swaying green palms and verdant island foliage, this spectacular Villa is the ideal choice for a truly unforgettable tropical holiday. 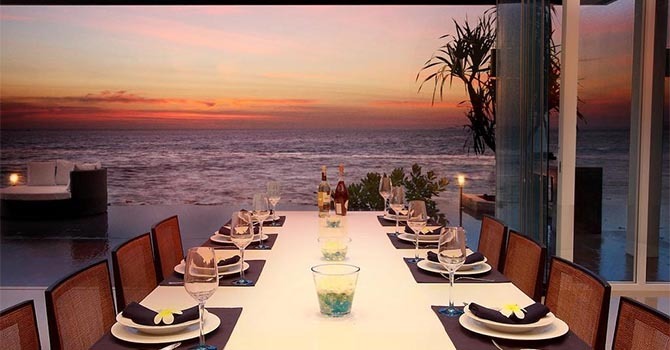 Indoor & outdoor dining flow onto the pool deck, directly on the edge of the beach with the Andaman sea infront. The chic dining area, sprinkled with touches of traditional Thai artwork and design, enjoys the gleaming sunset view over the ocean beyond. Generously spacious bedrooms invite rest and relaxation in-between sunny beach days and adventure. 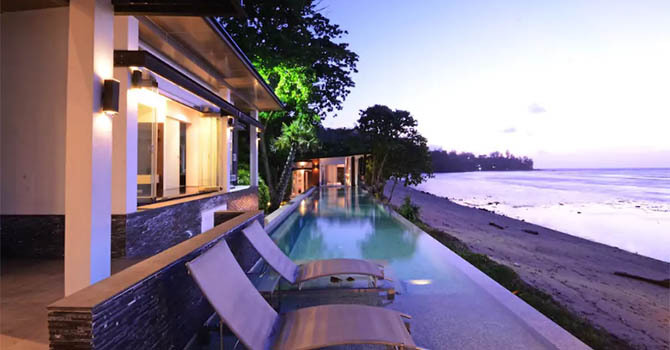 The villa’s excellent location only steps away from Kamala Beach is the ideal base for your Phuket escape, with various restaurants and shops close by. - Rate is subject to 7 % service charge and tax. "The house made the holiday!" We have all agreed that the house made the holiday. 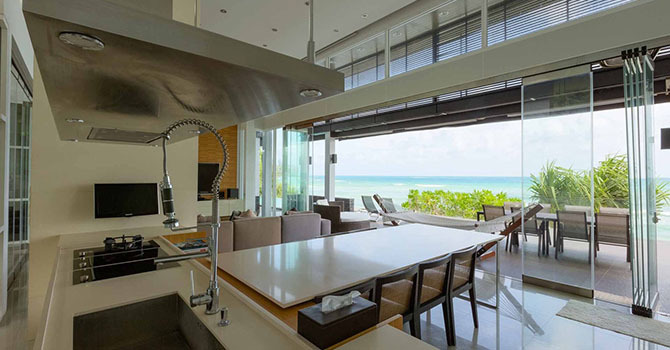 To have 6 large bedrooms, each with its own ensuite, massive living areas combined with the absolutely beautiful private beach (one of the best on the island) created memories that we will all treasure. Carlos, Timeteo and Jacquiline were always doing everything possible to ensure our stay was as comfortable and relaxing as possible. This was something that we have never experienced before and just added that extra special value.